It’s a busy week in our house this week – two birthdays and lots of other things going on. I’m hoping to keep our dinners simple, or at least as crock-pot-based as I can. That way, I know we’re eating well even if I don’t have the time to spend in the kitchen every single afternoon. I’ve also decided that I want to try some of the bajillion recipes I have on Pinterest. So, this week is experiment week. I’m breaking out of the “tried and true” and trying new versions of favorites and some new recipes to boot. This will either be a rousing success or an utter failure. My family has taught me that they really love my old standby recipes and don’t like me messing with them very much. But I like to spice things up (so to speak) and try to cook restaurant favorites that we love at home. It’s cheaper and healthier! Today is SuperMan’s birthday. 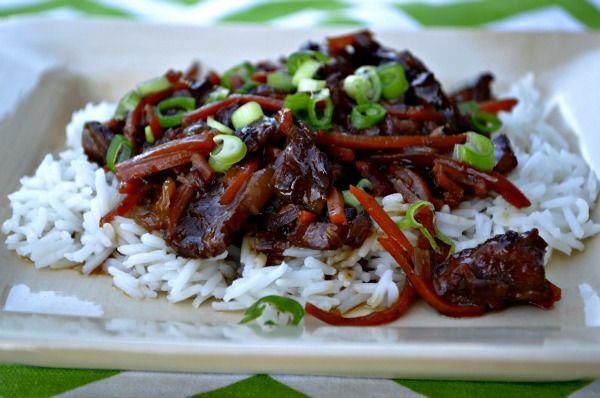 We’re going to enjoy some crock pot Mongolian Beef and rice tonight. I’ll steam some broccoli to go along with the rice and beef and I’m baking an apple cake and plan to pick up an ice cream cake (his special request) for our dessert. 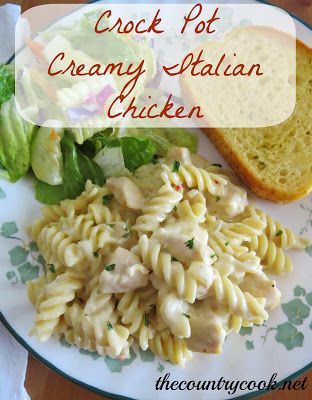 Tomorrow, I’m thinking I’m going to try this Crock Pot Creamy Italian Chicken recipe. It looks really good to me – it’s not 100% crock pot – there are parts you have to do outside the crock pot (like cooking the pasta), but it looks really good. I am thinking I may serve it with the salad and garlic bread exactly as she shows it on the website. We love, love, love, fajitas. We usually have them on Friday nights at our local favorite Mexican place. 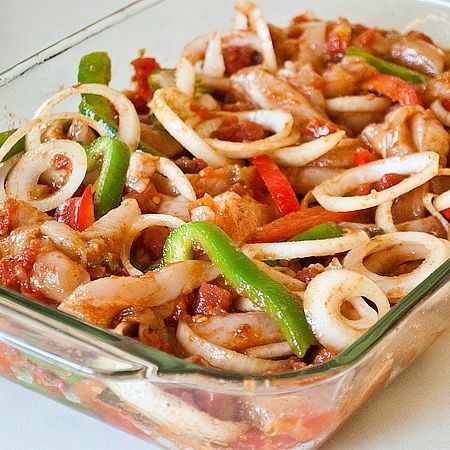 I’m thinking that maybe this Friday I’ll try this recipe for oven-baked chicken fajitas. Of course, my girls are meatasauruses, so I may have to edit things and add some steak into that. Just chicken would be healthier, but I think there would be squawking from the peeps if I don’t. One more new recipe to try – not sure if it will make it into this week or next, but it sure looks good. The girls and I love Panda Express. It’s one of our Saturday lunch treats. The only thing about it is that sometimes it’s a little bit too spicy for our delicate palates. So, when I found this recipe, I decided it was a must-try. 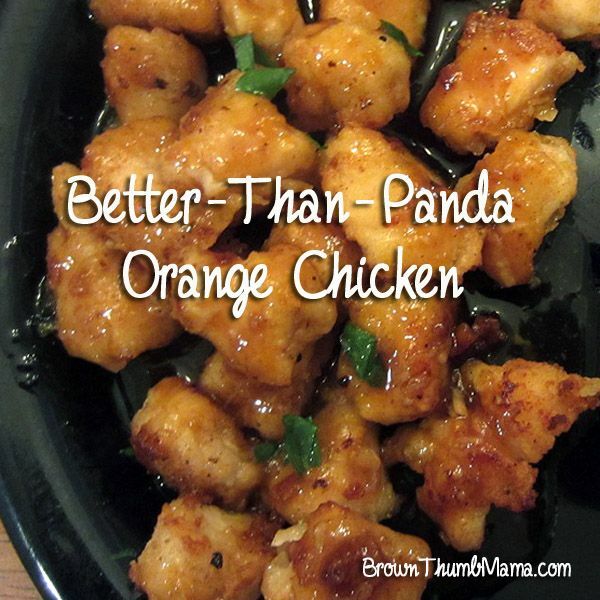 I can adjust the heat to our preferences and still get that yummy Orange Chicken that we enjoy so much. I can also finish up the green onions I bought for Monday’s dinner and make some fried rice to go along with it with the leftover rice from Monday. I love dinners like that! So, that’s what’s on our menu for the week! What’re you planning for your family? Check out other Menu Plan Monday ideas at OrgJunkie.com.